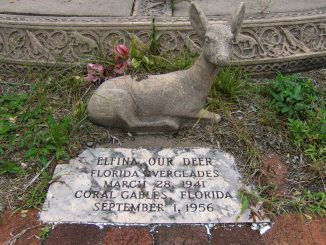 The Ernest Hemingway Home & Museum is one of the most popular attractions in Key West, Florida, and was the home of world famous author Ernest Hemingway. Located at 907 Whitehead Street across the street from the Key West lighthouse, the Hemingway Home was designated a United States National Historic Landmark in 1968. While the house is world famous for being the home of Hemingway, he actually only lived there for eight years between 1931 and 1939. He did however retain ownership of the home till his death when it then became a for-profit landmark and tourist attraction. Prior to purchasing the house, the Hemingway’s had been living in Key West for three years. During that time they were renting houses around the city while they looked for something appropriate for their family and needs. The Hemingway Home was purchased at a tax auction in 1931. The Hemingway Home was not purchased by the author, but by Pauline Hemingway’s uncle as a gift for their wedding. At a cost of $8,000, it was moderately expensive for the time but cost a fair bit less than the famous pool later placed in the location of Hemingway’s boxing ring. The pool has become famous in its own right because Pauline built it while Ernest was working as a correspondent during the Spanish Civil War. At a cost 0f $20,000, Ernest was quite upset when he returned home and is said to have told his wife “Well, you might as well have my last cent.” and threw a penny onto the ground at her feet. The penny is now embedded in cement next to the pool. A garage on the property, with a caretaker’s apartment on the second floor, was built to house Hemingway’s Buick. It was the little caretaker’s apartment that ended up serving double duty as a writing room and is now viewable through a metal grate but cannot be visited by tourists. The Hemingway Home is as famous for its acts as it is for being home to one of America’s most well-known writers. The house has had hundreds of cats over the years and a majority of them have the distinctive feature of a sixth toe of both of their front feet.Descendants of Hemingway’s original cats still live on the premises and have become a loved feature of the house. In 2009, it was the cats that became news worthy. They were the subject of federal litigation into their welfare after a concerned visitor complained to the United States Department of Agriculture. The resulting investigation determined that the cats “substantially affect” interstate commerce and as a result are protected by the Animal Welfare Act of 1966. Since they are so important and have an affect on interstate commerce, the Hemingway House is required to follow very specific regulations of care for the cats including registration, identification, and proper shelter. In order to insure that the now famous cats are forever a part of the house and an attraction for visitors to the famous residence, there is a specific breeding program overseen by a veterinarian. Selected six-toed cats are allowed to breed once before they are neutered. Before Hurricane Irma in September 2017, all residents of Key West were ordered to evacuate, but the museum’s curator, general manager and a team of employees declined to leave the house because they were unable to evacuate its cats. The employees and cats all survived unscathed. Following a tradition started by the author, all of the cats have literary names. All of the six (and seven) toed cats at the residence are direct decedents of cats owned by Hemingway himself. Hemingway wrote “The Green Hills of Africa”, To Have and Have Not”, “”Death in the Afternoon”, The Snows of Kilimanjaro” and “The Short Happy Life of Francis Macomber” while he was living at the Key West estate. 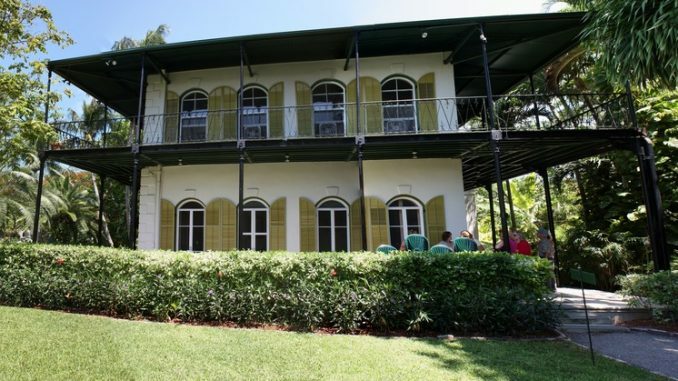 The Hemingway Home is one of the most popular destinations to host weddings in Florida. The house is listed in some locations as French Colonial and in others as Spanish Colonial. Either way, it’s great. Though he started writing “A Farewell to Arms” in Havana, Hemingway finished the book in Key West (before he moved into the house). The house was built in 1851 by Asa Tift, a marine architect. The number of cats range at any point in time from 40-60 depending on how active the breeding has been. 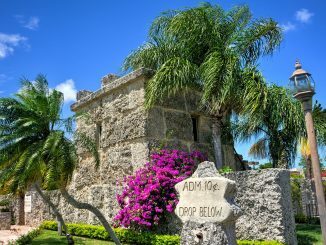 At the time of its construction, the in-ground pool was the only one in Key west and is said to have been the only pool for a hundred miles. After Hemingway’s death, the house was sold by his widow to Mrs. Bernice Dickson, who founded the Hemingway Home & Museum. The James Bond movie License to Kill used the Hemingway Home as one of it’s filming locations. 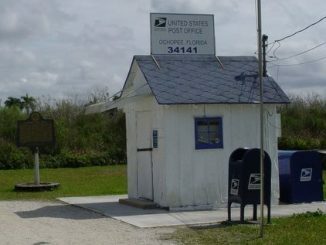 The Hemingway Home is a 10 minute walk from the Southernmost Point in the United States. The Birthplace of Pan American Airlines is on an 11 minute walk (on the same street) from the Ernest Hemingway Home and Museum.